Just Finished. Today I completed quilting the remaining wide border, created an embroidered label, attached a narrow hidden binding to the quilt edge and hand stitched it into place. The quilt is relatively small – 45″ square – which means it could actually be a wall hanging or a smallish lap quilt/throw. I decided to finish with a hidden binding because I didn’t want to complicate the quilt top any further. The wide border mirrored the double convergence and that felt like it was enough. I used the fabric from the back for the hidden biding – stitched it on the front using a 1/4″ seam, then folded the 1 1/4″ strip under leaving me with a 1/2″ binding. You don’t really see the invisible binding unless you’re up close and looking carefully. A bit of explanation about the quilt back – I needed a narrowish insert to accommodate the quilt width. 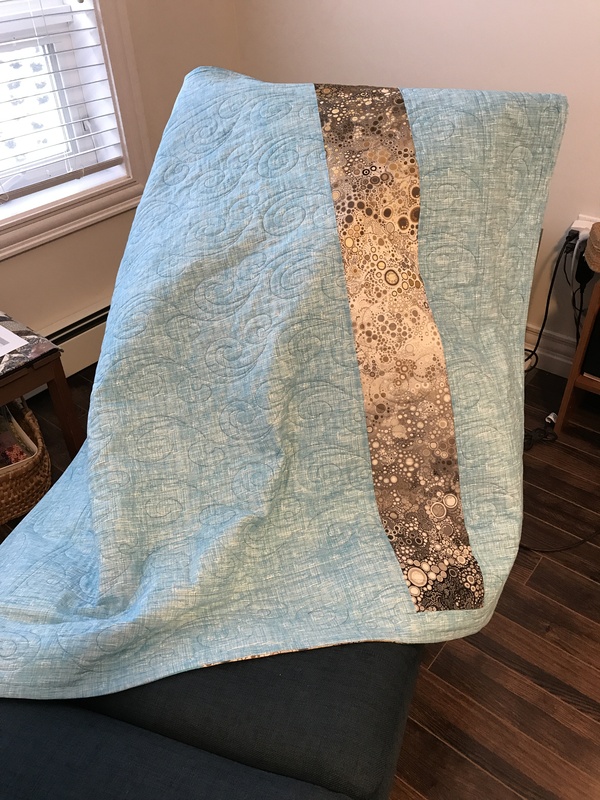 I had a small amount of ombre fabric left and decided a strip of ombre as it was worked perfectly – no piecing, except to extend the length of the strip. There’s enough interest in the fabric itself that it accents well. 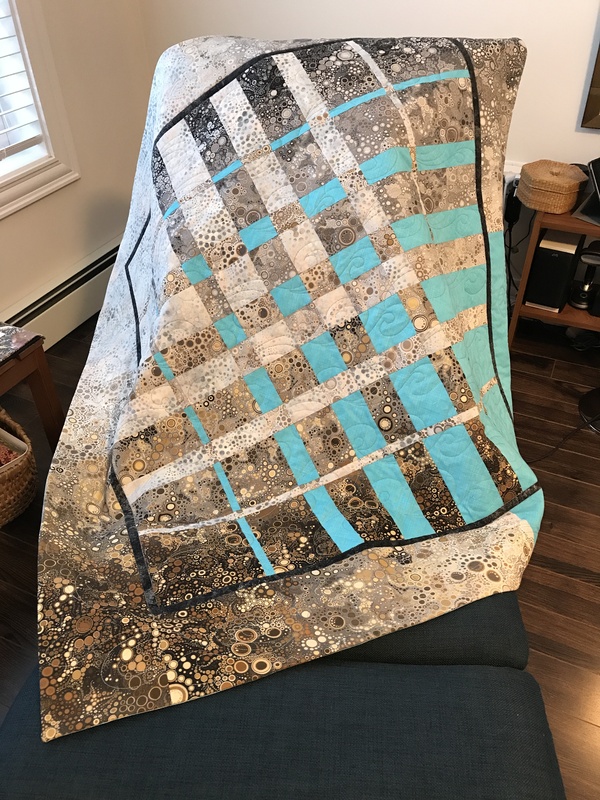 That’s quilt #7 since the end of August – I’m planning one more for the Parrsboro show this coming summer. Now to turn to wall art pieces – I have lots of ideas, I just have to begin creating!